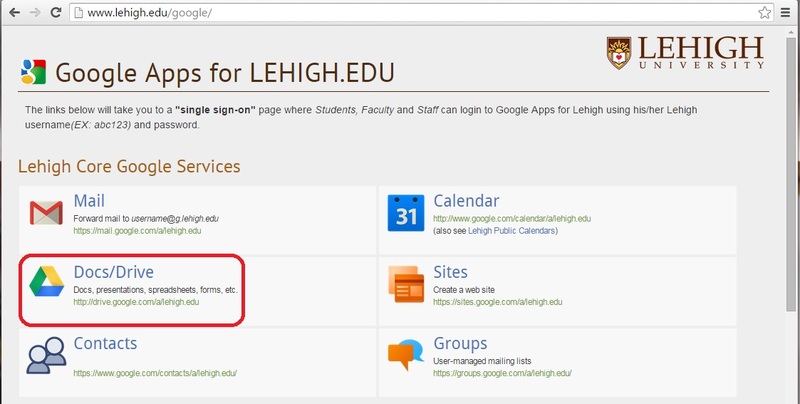 Open Google Drive by accessing www.lehigh.edu/google in any Web browser. Click on the Docs/Drive link. You will be prompted to enter your Lehigh network credentials. In Google Drive, click on the New button. Click on Google Docs for a word processing file; Google Sheets for a spreadsheet file; Google Slides for a presentation file. Click on the name field at the top of the file to create a new file name. Within a few seconds of the new file creation, you will note that Google Drive has saved any changes to the file. Place your cursor over the Share button to confirm that the file is accessible only to you. Click on the Share button to open the file sharing options. In the Share with others box, type the name(s) or email address(es) of those people you want to share the file. Or, click Advanced for more options. 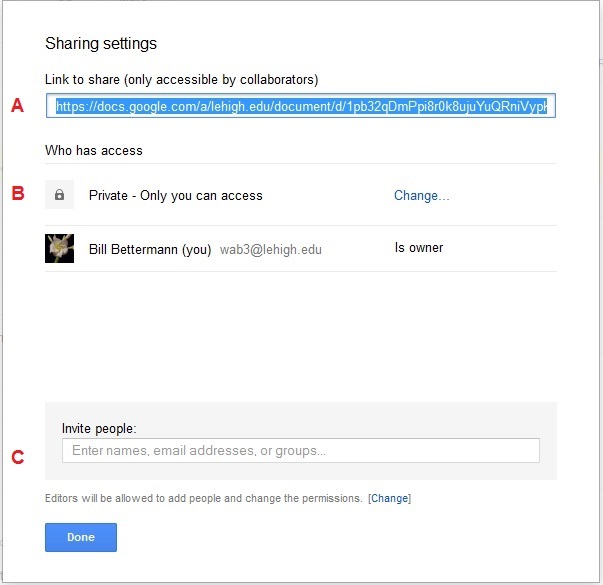 A Google Drive creates a link that can be used in e-mail or web to share with chosen collaborators. B Access rights that can be customized for groups (e.g., Lehigh University) or individuals. C Individuals can be invited access, listed by name, e-mail address, or contact groups. 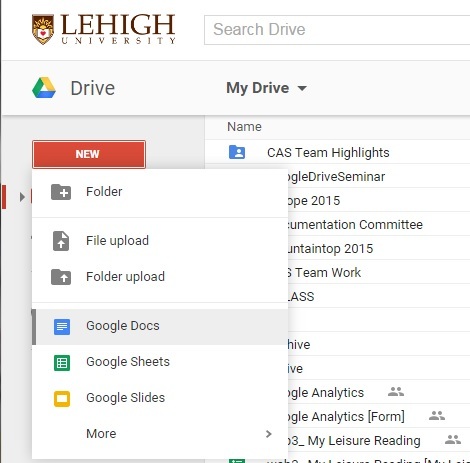 Once you have created your new file, you can see it listed in your Google Drive files.